Minimum 2 night stay. TLC Three room Suite is $150 per night for a couple incl. tax, $20 additional adult/$10 for each additional child. Main floor rooms $100/night each. 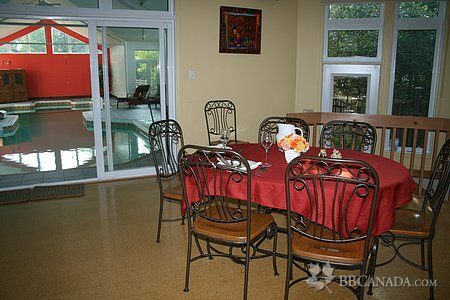 Our unique B&B is a Private Oasis for a single, couple, or group. 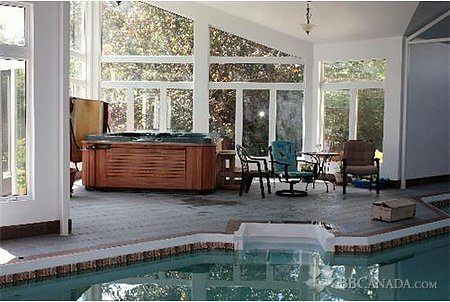 Exclusive 55 foot indoor pool, hot tub, far-infrared sauna. Water volleyball, trapeze. Play, spa or exercise. 2 Main floor bedrooms, one with a queen bed and another with a double bed, share a bathroom with walk in large shower and bidet. There is sometimes space available across the street if your group needs another bedroom but wants to eat/swim together here. 35 minutes to downtown Parliament and Byward market. TLC is a destination. Come for romance; for relaxation; for fun with the family. All the comforts of home. Wireless internet. Toys for all ages. 15 min. to Canadian Tire Place (Home of the Sens! ), 25 min. to the airport. Located on the Jock River. ***Rideau trail hikers can request bag lunches and pick up in the Marlborough Forest. Check In/Check Out : 4:00 check-in. Noon check out.. Cancellation : 24 Hours notice is no charge.